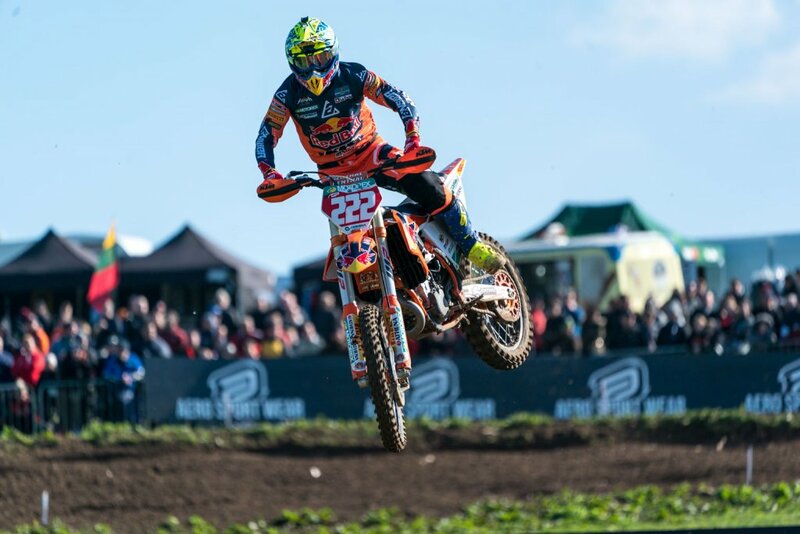 Nine times world champ Tony Cairoli fought through the pain of in injured shoulder to take overall victory in the sun-kissed British GP at Matterley, but only after his rival Tim Gasjer threw it away in the opening moto. 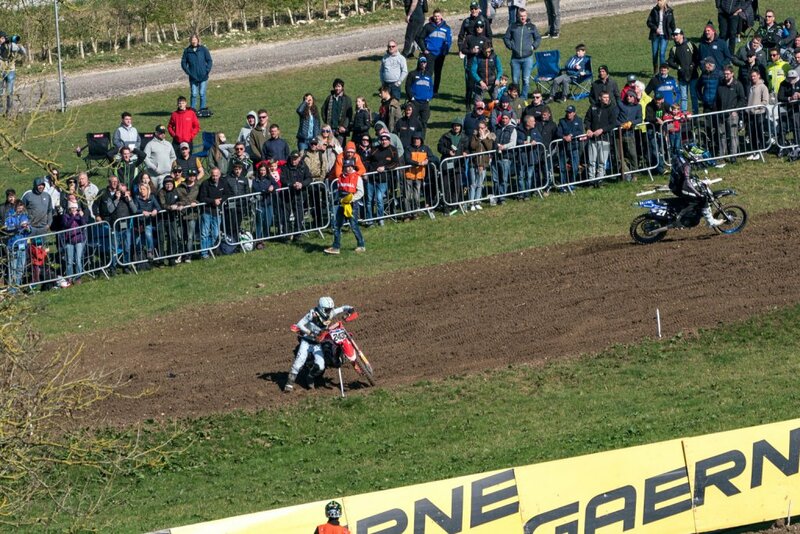 Both times out, Cairoli took the holeshot but Gajser was through on the opening lap and began to pull away. 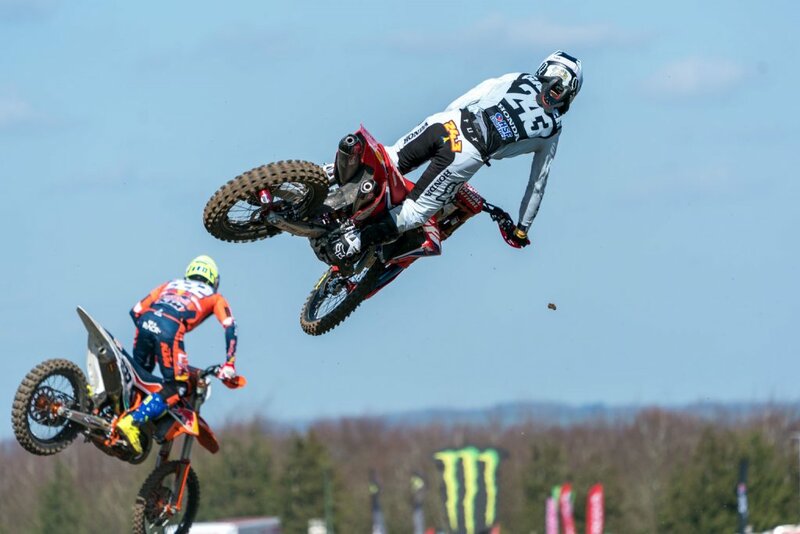 In the first moto, Gajser then had a hard crash and damaged his bike. 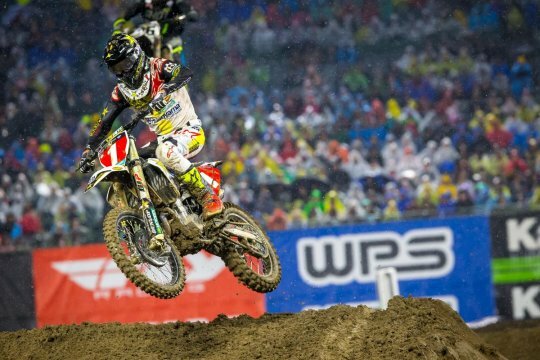 As Cairoli powered away to an easy win from Gautier Paulin, Gajser came through to third. Second time out Gajser repeated the feat to take the lead but pulled away to a six second lead from Cairoli and Paulin. 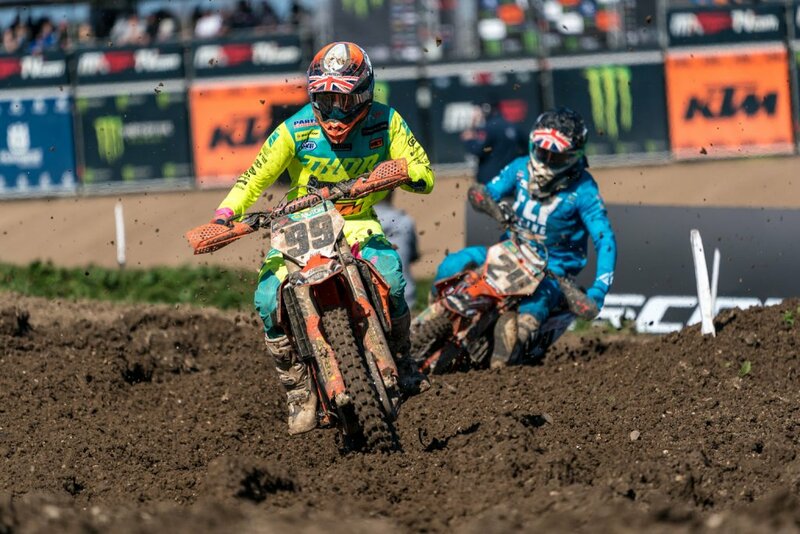 The KTM made a charge on the last lap and reeled in his rival but couldn’t get close enough to attempt a pass. Cairoli extended his series lead from Gajser, but he proved he’s more than a match for the Italian. 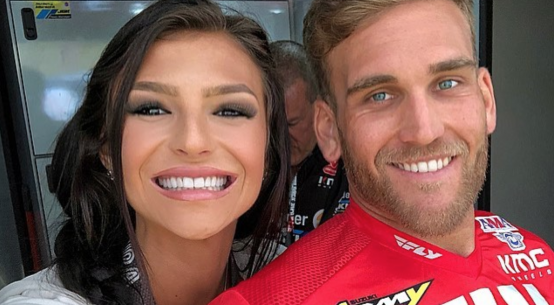 It was a special day for Gajser as it marked the birthday of his brother who was killed in a racing accident several years ago. That’s why he runs the number 243 in honour of 24th March. 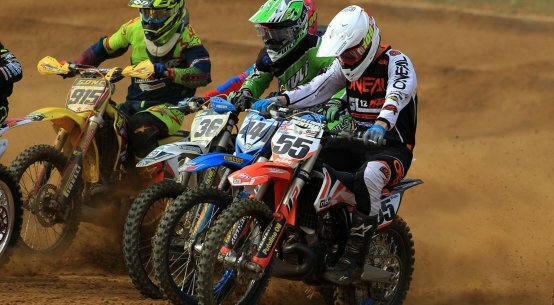 Cairoli said: “It was difficult to push as I had a small problem with my right shoulder and neck,. which I hurt in the week. I got arm pump after three laps and I had to be careful. 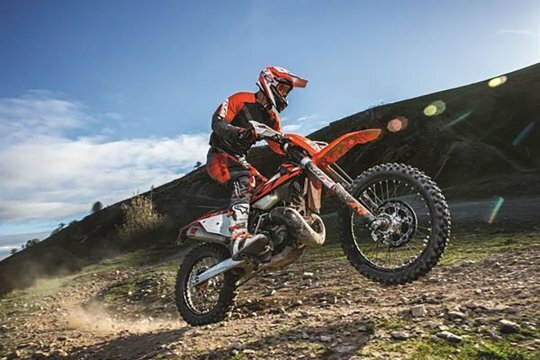 It’s tricky with the strange ruts and kickers so I rode carefully. 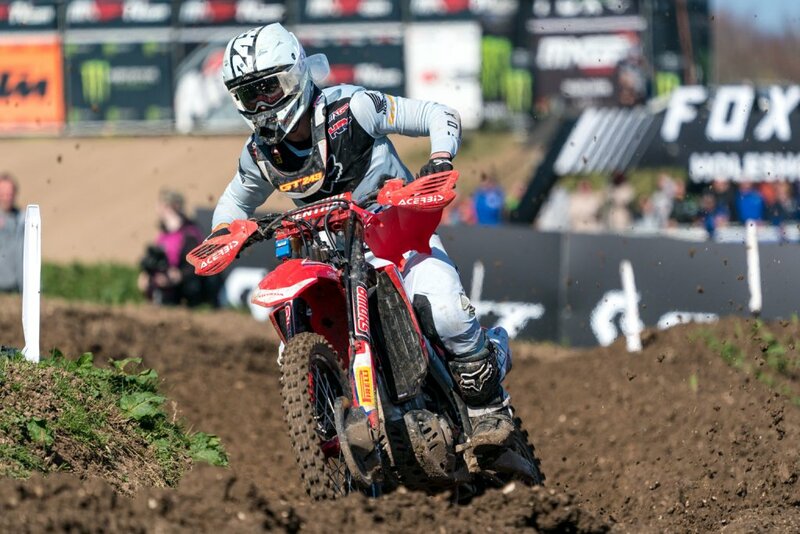 Gajser said: “Today was a special day as 24 March is a special day and it’s an honour to wear the number. I’m happy to finish the day on the podium. 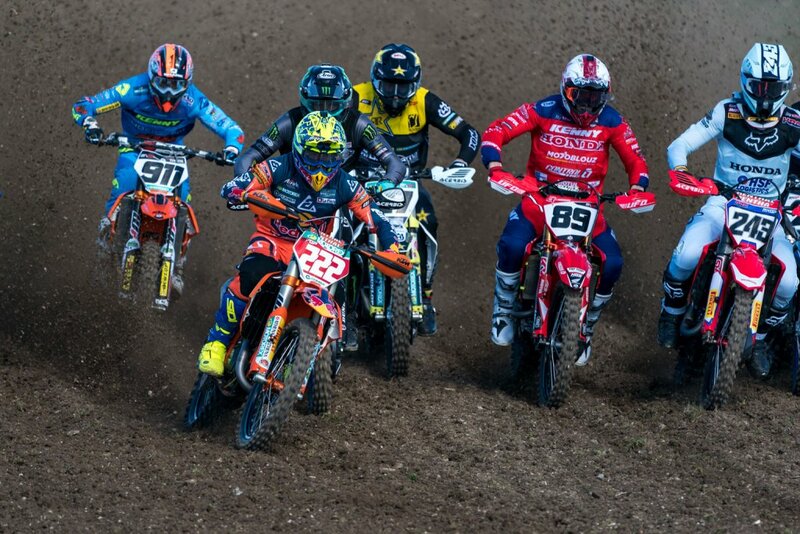 In the first race I made a mistake and had a big crash but thankfully I could continue. 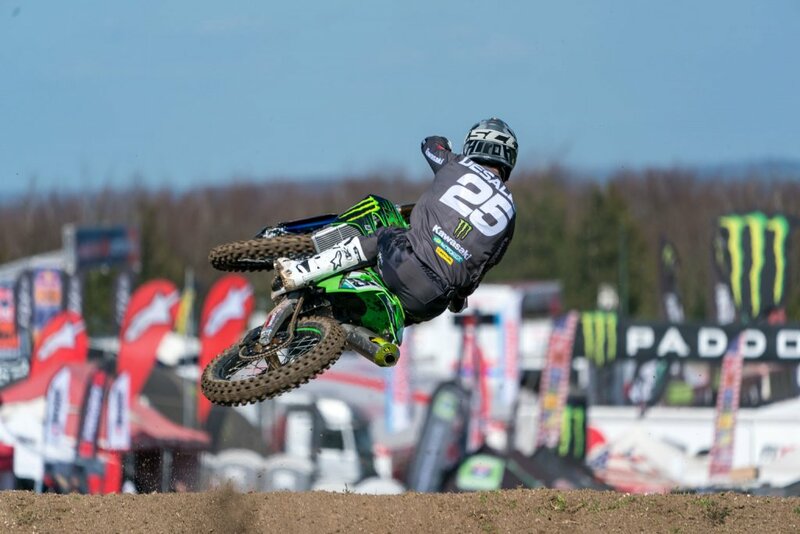 So third was OK.
Paulin took a fine third with two third places, from Clement Desalle who came back from a first lap spill in the second moto when he wiped out his team-mate Julien Lieber. 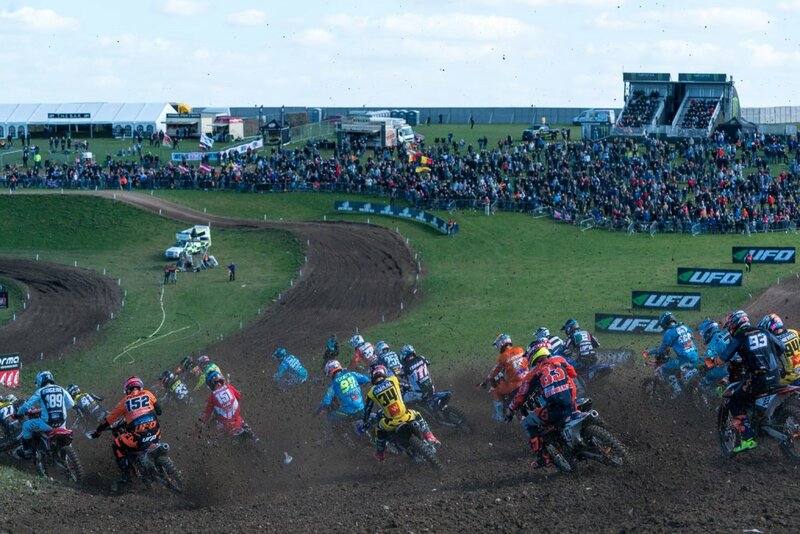 It was a tough weekend for the British riders who had hoped to get on the podium. 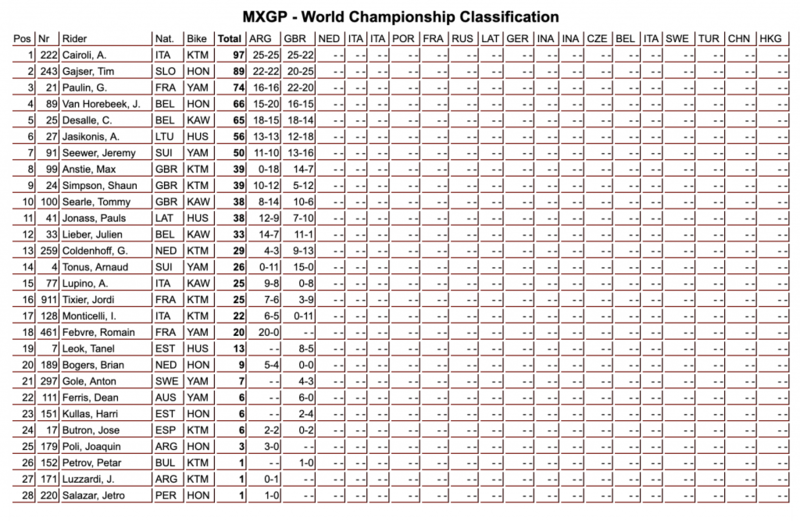 Max Anstie was best with ninth overall, thanks to a seventh in the opener. 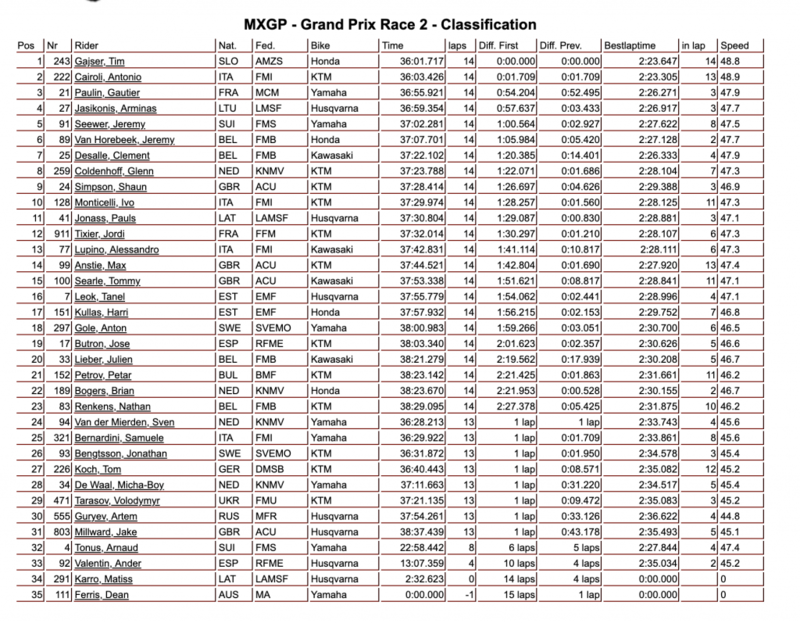 In race two he went down on the start and came through to take 14th at the flag. 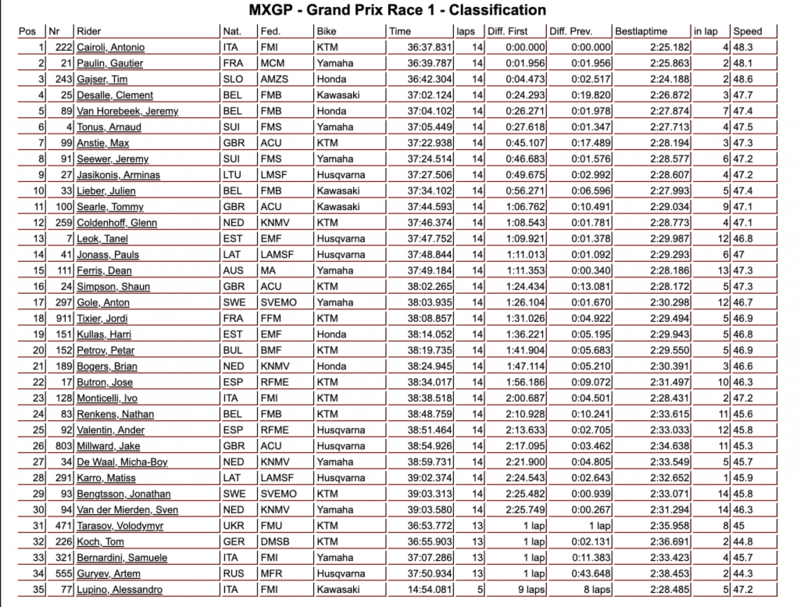 Shaun Simpson was 16th in the opener after dropping back right at the end of the race when he fell. 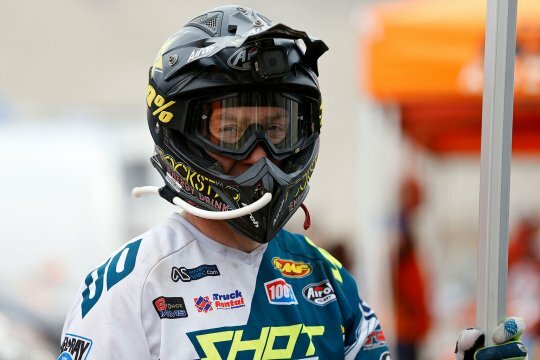 Second time out he was top Brit in ninth and finished tenth overall. 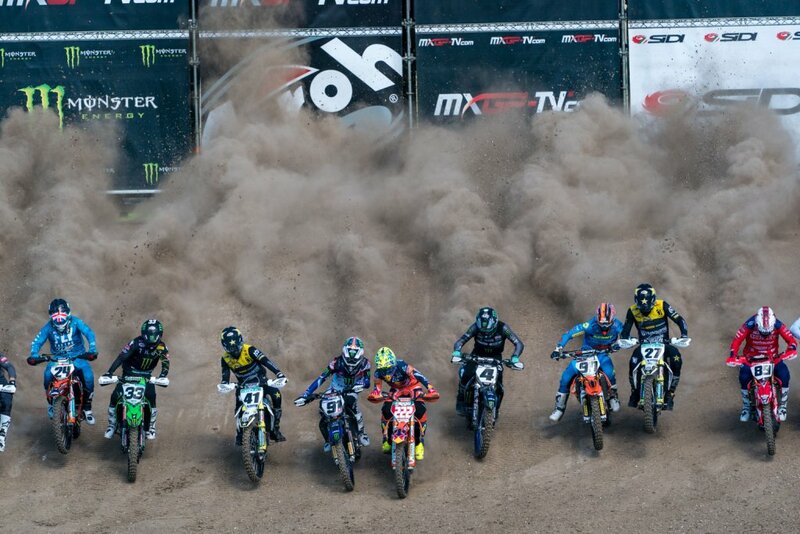 Got to love the BMX start! 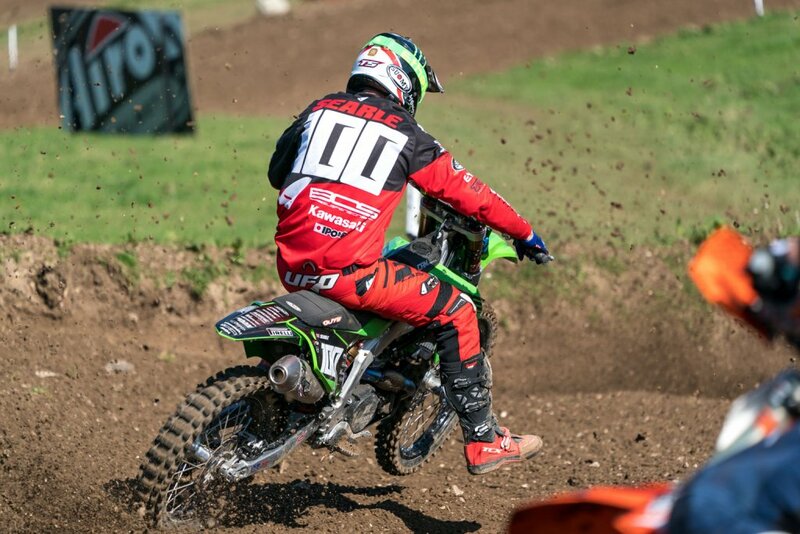 Tommy Searle didn’t get great starts and took 11th in the first moto and 15th in the second after coming off on the first lap. He was 12th overall. 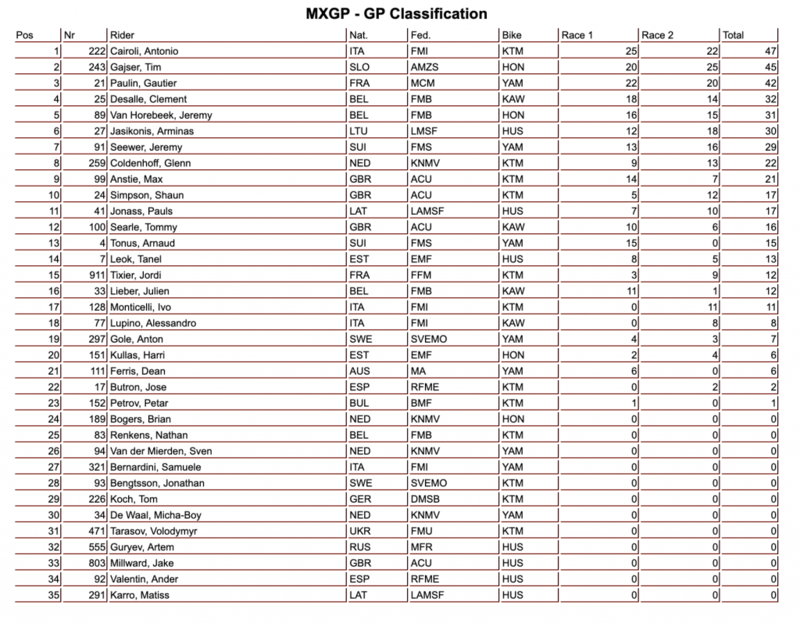 250 two-strokes in MX1 AND MX2!